TS Rigging has worked with most of the leading brands in roller furling. As well as fitting and refurbishment, we can supply new systems. TS Rigging has a close working relationship with Sailspar and also with Furlex. 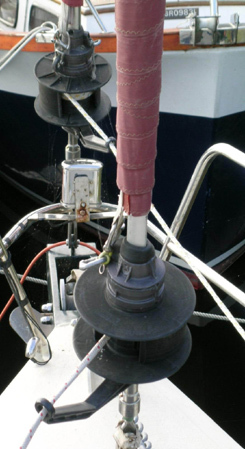 We provide a troubleshooting service for furling gear and are experienced in solving problems with halyard wrap, binding and luff tension.